Morning : 4.30 AM to 12.30 PM. Evening: 3.00 PM to 7.30 PM. 1:30 PM or 2:30 PM Afternoon Closing Time on Friday, Saturday and Sunday. 8:30 pm or 9:00 pm Night Closing Time on Friday, Saturday and Sunday. 15) Temple Closing Time on Friday,Saturday and Sunday – 8:30 pm or 9:00 pm. 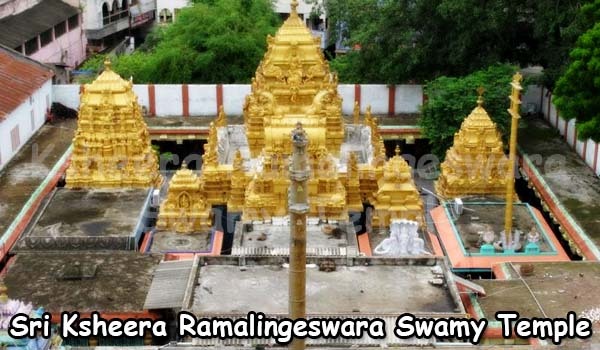 Sri Penusila Lakshmi Narasimha Swamy Temple is an ancient temple located at Penchalakona in Nellore district of Andhra Pradesh. Here the presiding deity is Lord Lakshmi Narasimha, an incarnation of Lord Vishnu together with his consort Goddess Chenchu Lakshmi. Here, Lord Lakshmi Narasimha is regarded as a Swayambhu deity. 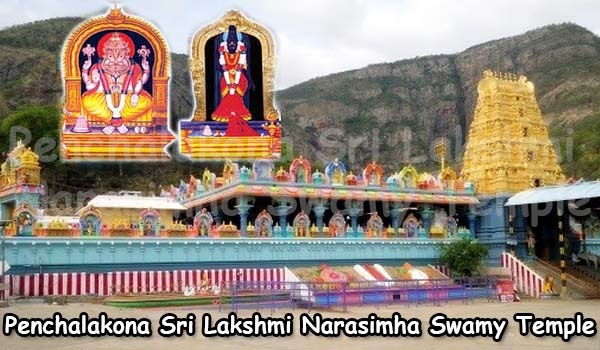 Sri Penusila Lakshmi Narasimha Swami Temple, which is regarded as one of Nava Narasimha Kshetras, dates back to a very ancient period and was built according to Agama Shilpa Sastra. Lord Lakshmi Narasimha Swamy, also renowned as Somasila Narasimhaswamy, is manifested Himself on a huge rock in meditative posture. 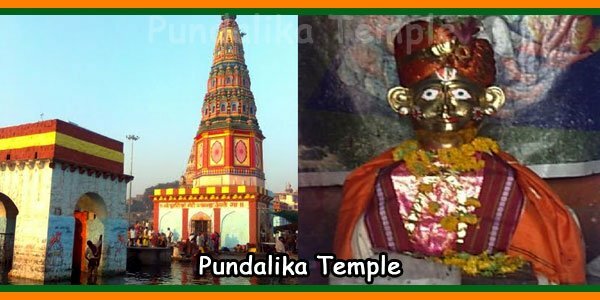 Since the Lord is found on a huge rock, the temple got the name Penusila. Later on, it became popular as Penchalakona. The amazing Rajagopuram of this temple is carved with beautiful images of gods and goddesses. It is believed that when Lord Narasimha Swamy went to Bhairavakona to kill the demons who troubled the Rishis, the Rishis caught umbrellas for Lord, and hence this place is called Chatravata. And because of that the Lord is also known as Chatravati Narasimha Swamy. In remembrance of that event, devotees offer gold and silver umbrellas to the Lord. Lord Maha Vishnu manifested as Narasimha Swamy (Human body with Lion’s Head) to kill the demon. Even after killing Hiranyakasyapa, he could not control his anger and he came to the forest. To cool him down, Goddess Lakshmi approached him in the form of a tribal lady named ‘Chenchu Lakshmi’. Chenchu Lakshmi hugged Lord Narasimha swamy at this place. The word ‘Hug’ means ‘Penu Vesukonuta’ in Telugu. Hence the place got the name ‘Penusila’, which was later on changed to Penchalakona. It is said that the Lord married Chenchu Lakshmi and subsequently manifested himself as a huge rock. As per another version of the legend, the Lord after killing the demon took bath in Penchalakona to take away the Narasimha Avatar and to pacify the anger. Lord Narasimha Swamy manifested here as a huge rock in the Yoga Mudra posture. ‘Penusila Kona’ also means ‘Huge Rock Corner’. 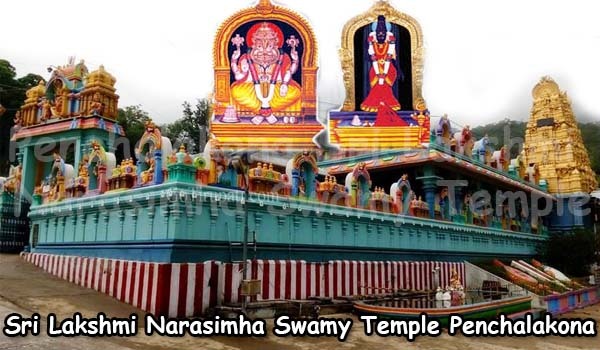 The Lord in this temple is also known by the name Somasila Narasimha Swamy. 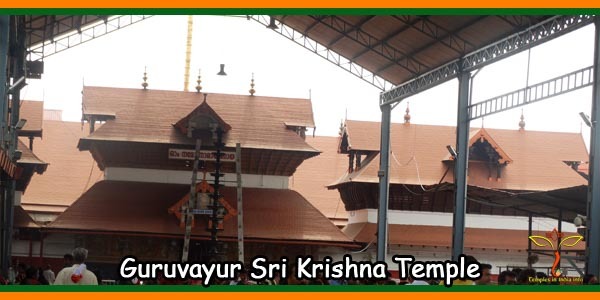 This temple is regarded as one among the nine manifestations of Narasimha Swamy. 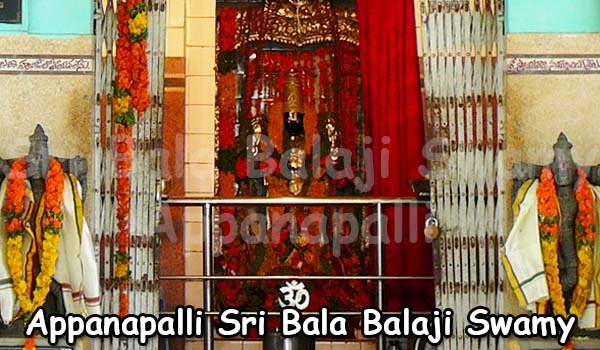 There is a sub-shrine dedicated to Lord Anjaneya Swamy in this temple. 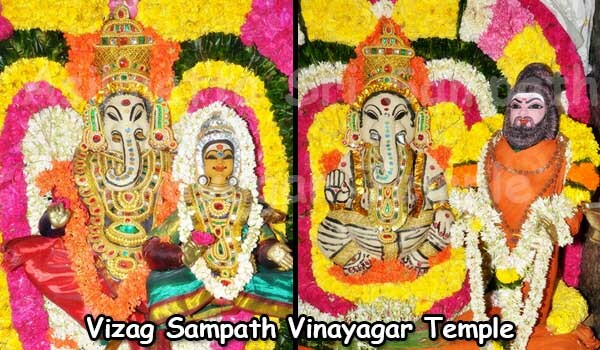 Other popular attraction of this place is the Goddess Adi Lakshmi Devi Temple which is located on the banks of the river Kandaleru. Navartri festival is celebrated in a grand scale when special poojas are performed apart from the regular poojas and abhishekams. 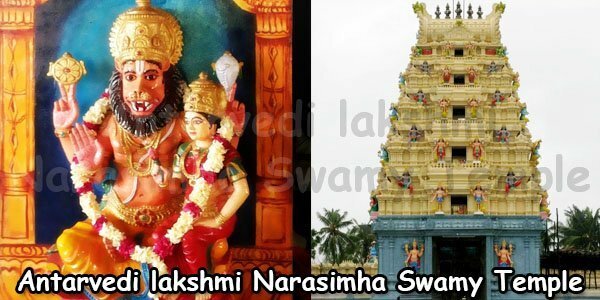 In the month of Vaisaka (April-May), on the occasion of Narasimha Swamy Jayanthi, Brahmostavams are celebrated for 5 days. Thousands of devotees from Kadapa, Prakasam District, Nellore, and Tamil Nadu participate in the festival. Kandaleru River, which originates from the water falls of the mountain ranges, flows nearby the temple river in the northward direction. 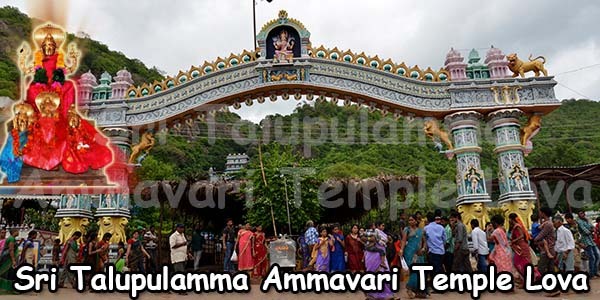 It is believed that in the ancient times a sage named Kanva Maharishi stayed here and meditated upon Lord Lakshmi Narasimha Swamy and hence the river got the name Kanvamukhi River, which was later known as Kandaleru River. In 1982 Government constructed a dam across the water body, which is called ‘Kandaleru dam’. This dam is very helpful or developing agriculture in the surrounding areas and it gives livelihood to the local people. Direct buses are available from Gudur Bus station to Penchalakona. Nearest railway station is Rapur from ther one can reach Penchalakona. Those who come from Chennai can get down at the South Gudur railway station. From Chennai Central to Nellore, Local sub trains are available. Saswatha Abhishekam performed on Devotees Names. The Devotees can specify the date. Abhishekam performed for only 2 persons.